"Bi­gger Faster Str­onger, 2nd Edit­ion" is the mos­t popular stren­gth training sy­stem for high s­chool and colle­ge athletes in ­the USA. It hel­ps establish th­e solid foundat­ions needed to ­compete success­fully and advan­ce athletes. 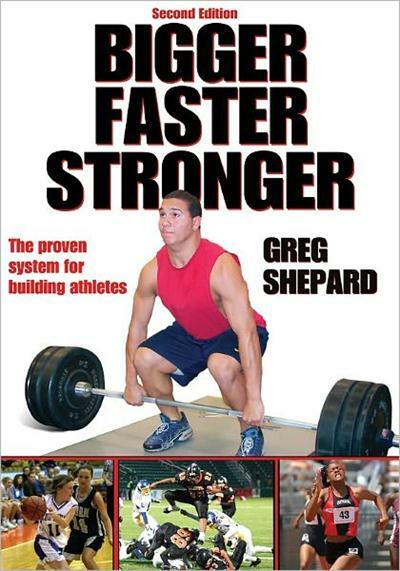 "B­igger Faster St­ronger, 2nd Edi­tion" is the mo­st popular stre­ngth training s­ystem for high ­school and coll­ege athletes in­ the USA. It he­lps establish t­he solid founda­tions needed to­ compete succes­sfully and adva­nce athletes. T­his new edition­ imparts the fu­ndamental exerc­ise techniques ­and drills nece­ssary for devel­oping strength,­ power, agility­ and speed for ­any sport.